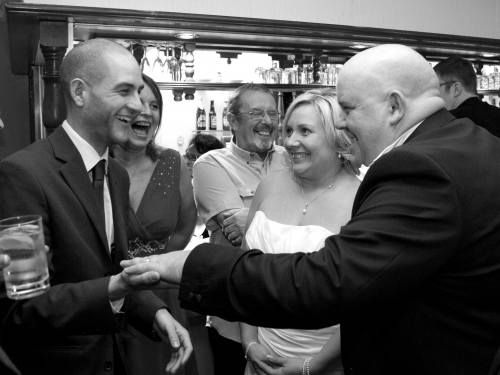 Booking a magician for your wedding has become incredibly popular in recent years. TV magicians have made magic cool again. 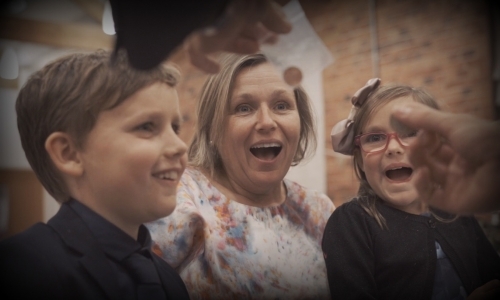 Hiring a wedding magician is perfect for breaking the ice and bringing laughter to the faces of all ages. Professional wedding magician, Duncan William, sat down and compiled his top ten suggestions you should check for before hiring a wedding for your special day. This is the definitive guide for making sure you book the correct entertainer to leave your guests speechless. The first thing you should always do is ask around for recommendations. These could come from friends, family, professionals or people who have seen a magician at an event or wedding. Facebook and social media are also great platforms for getting good (and bad) recommendations. There are usually Facebook groups which allow you to post questions to other brides. Some brides may have already used a magician for their own wedding. A word of advice, however, would be to always meet the entertainer you have shortlisted. The reason for this is that more often than not, for most people, this may be their first experience seeing live magic. One person’s level of quality may not be another. The best advice would be to start by shortlisting a few performers. After that then arrange to meet some of them to see if they dazzle you as much as they have done to the people who have recommended them. With magic being such of a visual art-form, most magicians should be showcasing their abilities by using video. This could be YouTube, Vimeo or some other video sharing platform. This will demonstrate some of their skills and also how they dress, act, reactions they garner and skills they have. However, it’s also important not to be swayed by a glossy video. In this day and age, skilled video editors can make anything look incredible. They can use fantastic graphics, clever editing and well placed laughter tracks to name a few. Always use the videos offered by a magician as just another taster of their ability. Be careful as what you see on your mobile or desktop screen, does not always translate to your wedding. Of course the market costs change and prices can differ dependent on the time of the year or day of the week. For example, hiring magician on a Saturday evening in the middle of August (peak wedding season) is likely to be more than a Tuesday day time in January (off-season). The best recommendation would be to make enquiries with several magicians to get an average price and the shortlist the candidates down into the ones with what fits with your budget and what your tastes are. This is an all-encompassing word. Sadly it is not always embraced by magicians, mind readers or other wedding entertainers. When looking into recommendations of wedding magicians – its well worth also asking about the professionalism of the magician. This may cover their punctuality, appearance, how they present themselves to your guests (no swearing) and relationship they build with you before the big day. This would cover email or phone correspondence, contracts, or payment structures. There are illusionists, mind readers, psychics, sleight of hand artists and inside of each of those genres there are differing styles. Comedic, serious, light hearted, friendly, dark and more. If you are wanting to hire a magician who can mix and mingle between guests over the wedding photos, it’s recommended not to book someone who needs a table to perform. This kind of requirement will make their performance a lot more limiting. Another example would be that if you are wanting someone to perform an after-dinner stage piece. If you want this style of magic, then it probably wouldn’t be wise to book a close up specialist. Either way, think about your wedding style and theme and consider whether one magician would be better suited to your special day than another. Again, if you have the opportunity – meet up with them to see if their style fits your requirements. The greater the distance the magician is from your wedding venue usually the more expensive they will be. They will they have to factor in the tangible travel costs such as petrol and vehicle wear and tear. Not only that, but they will no doubt have to make a decision whether taking your booking would compromise their ability to take another. It’s always best to find a local magician for several reasons. The first reason is that there should be fewer eventualities en-route to the venue if they are local. Secondly, if they are local – usually local friends and family members will be able to recommend someone who is local. Finally if the magician is local, then its much easier to meet them beforehand to discuss your requirements. Its also the perfect opportunity to see a few tricks and some mind reading demonstrations. Furthermore, if they are an illusionist, there is usually a greater chance that they will be performing in your local area so you can go and check them out. Entertainment agencies are putting in a real effort to promoting their services offering magicians for weddings. With large marketing budgets, these agencies have the ability to climb google rankings and marketing themselves extremely well. Of course they have to recoup this cost. This usually comes in the form of a commission taken from any act you book through them. Usually this is between 10-25%. 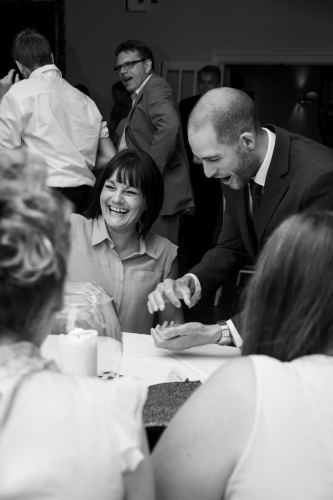 If you have a wedding magician which charges £250 independently through his own website – you may find yourself paying an additional £60 just to use their service. Agencies will of course say that you can peace of mind when booking through them. If the magician you have booked through them is unable to do the gig for any reason the agency will find a suitable replacement. However, a professional magician would offer the exact same service as they will want to preserve their reputation. An agency will have access to any number of magicians on their books. However often these have not always been vetted or seen before. Booking independently can save you £60 or upwards dependent on the type of booking. However if you book a magician who is possibly not professional, or does not value his reputation as much as an agency or a professional, then there is every chance there could be issues if they cancel. You may very well be left with no suitable replacement. In hindsight you may think you should have booked through an agency in the first place. The word experience covers a whole array of thoughts. There a many magicians who have great experience performing complicated sleight of hand magic. However, when it comes to performing live, in front of your guests, their lack of experience may become extremely noticeable. It is always worth questioning whether the magician has performed at weddings before. It’s worth asking if they have performed at the kind of event or wedding you are holding. Also, question how many guests they have performed to in your allotted period of time. If you are not booking them for a wedding, but for a different event, it may be worth questioning their suitability for your wedding. Don’t be fooled by seeing the words ‘Award Winning Magician’ on the banner of a magician’s website. This may be for some local club magic competition with 2 competitors. It may also be a magic competition that was held 20 years ago. As a result, performing styles have moved on since then. A lot of magicians add this to their site but it is often not backed up with any substance. Take everything written on somebody’s website with a pinch of salt. Be it ‘award winning’ ‘reviews’ or stock images which could have just been downloaded from google. As mentioned above – a website is essentially an interactive, online business card. As technology advances these can be and are becoming more flashy and fancy. This visual element may incorrectly sway your decision. However it is important to look under the surface. Read reviews which are authentic and have been verified. Google plus is a great place to start. Next see if the magician has any other videos on his YouTube channel. This will reinforce the quality of their skill, (or not). Finally see if they write a blog (like this one). It will demonstrate that the site is active. It will also show that magician has not just built a website and left it to go cold.